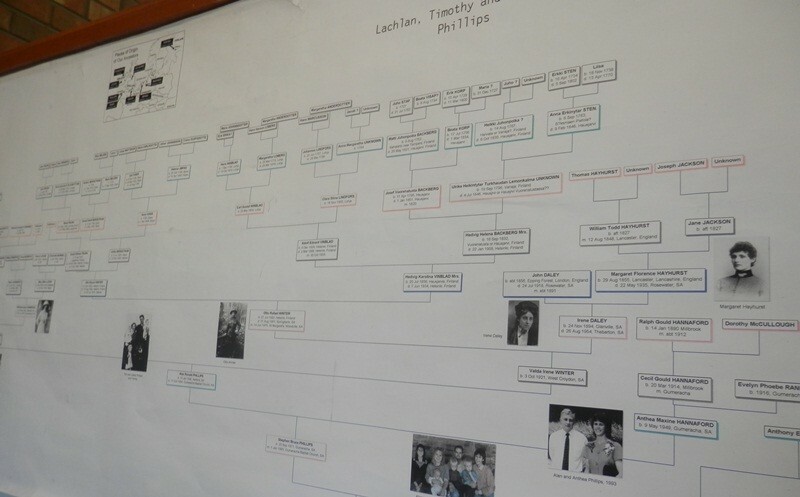 Today I want to introduce you to the “Gould Genealogy Pedigree”. This isn’t a post about new records online. And it’s not a press release about a new company. But rather it is introducing you to OUR company. That’s right, for a change I’m actually writing about ourselves. Some of you would know that our company has been around for years and years (almost 38 years actually), while others of you have found us more recently. Either way, I do hope that we have been able to help you on your research journey. “Gould Books” as it was originally known was started back in 1976 by Alan and Anthea Phillips and ran from their home in the Adelaide Hills. Apart from name changes and moving premises a few times over the years, we have seen many changes along the way. Gould Genealogy & History started as a mail order company sending out printed catalogues to customers. This has now evolved into a website and webstore, as well as a shop. The fact that we have a website means that we can add far products (currently we have about 9000 of them), and more detail for each than the printed catalogue ever allowed, all of which we which hope helps our customers choose the right products. Another change is the advent of social media. We’ve embraced this, and you can find us on Facebook, Twitter, YouTube, Google+ and of course we have this blog as well. Through these mediums (as well as several regular email newsletters) we aim to keep subscribers and followers up to date with new titles, events, and just general news that is happening in the genealogy world. There are two other noticeable changes that I have seen, the first is that the age of genealogists is getting younger and younger. In my opinion (and just mine), is that this would be a combination of genealogy being a more accepted (dare I say cool) hobby, combined with more and more records online kicking in!! Whatever the reason behind it, it’s a good thing to get anyone of any age interested. And the last thing I wanted to mention was about the amazing array of countries that we now send parcels to. As our ”catalogue” (aka website) is now able to be viewed anywhere at anytime around the world, orders come from all sorts of amazing places. While our customers are primarily from Australia, New Zealand, the US, Canada and England, we’ve also posted item to places such as Portugal, Malta, Iceland, Chile, Oman, Togo, Qatar, Switzerland, Ukraine, Papua New Guinea, Japan and Western Samoa to mention a few. In fact we’ve been thinking that we should get a world map and put pins on the countries we send to … alas it’s still on our to do list. Anyway as time goes on, we’ve added various other sister companies to the Gould Genealogy & History, and it is these that I wanted to introduce to you today under the title of the “Gould Genealogy Pedigree”! I’ve written about Gould Genealogy & History above so won’t repeat it all here. But we are a family business, with the third generation of our family starting to get involved. We’ve been a supplier of products for family and local historians since 1976, and our range of over 9000 products still gives us one of the widest ranges of genealogy products available anywhere in the world. Gould Publishing Services (originally known as Gould Desktop Publishing) was set up to cater for people who wanted their books printed. During the 6 years we were involved in publishing we produced about 230 books. These ranged from small booklets which we printed in-house to others 1000 pages or more. We specialised in doing the layout side of things for family histories, local histories, as well as diaries, reminiscences and others. Originally called Archive CD Books Australia, Archive Digital Books Australasia celebrated its 10th birthday last year, and in our 11 years to date ADBA had produced over 2100 titles, which equates to approximately 2 million pages of old and rare books, which have been scanned, made searchable and released on CD at an affordable price. Also we are the major supplier of Australian and New Zealand content to findmypast, World Vital Records and MyHeritage. Have you ever created a photo book? You know those that you can create online using your photos, then send it off to be printed? Well Family Photo Book is one of those companies, but it is uses an Australian-based printer. That’s right, when you hit to send button on your book order, it’s not going to a printer in China like most of them do, it is going to a high-quality printer right here in Australia! With plenty of options to choose from for your books, calendars, or even posters combined with and numerous templates, the options are endless. Create a record of a holiday, or record a journey of someone’s life. A special something for someone. A photo book can be a great way to share precious old family photos without giving them the originals, not to mention the most amazing and personal present. Unlock the Past was started in 2009 as a collaborative venture involving a team of expert speakers, writers, organisations and commercial partners to promote history and genealogy throughout Australia and New Zealand. Its website contains a large directory of historical, genealogical and related organisations, as well as details of upcoming events. Unlock the Past has also teamed up with many knowledgable authors, and have created the Unlock the Past range of guidebooks. The guidebooks, now totaling over 50, have significantly helped many, many researchers. Well written, easy to read, they are invaluable and fill a need that was lacking in the local market. 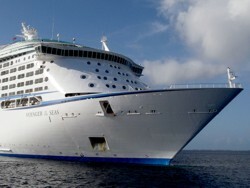 Unlock the Past’s 1st cruise held in February 2011 with a cruise that went from Brisbane to the Pacific Islands and back. This was incredibly popular, and was very well received. This sparked the beginning of Unlock the Past Cruises. Since then, our Unlock the Past organising team (Alan) has found new ships, new routes, and ones that are suited much better suited to our conferences, and has hosted 3 more cruises. With our 5th cruise (the first one which isn’t leaving from Australia) being only a few weeks away! With 4 cruises currently open for bookings, and plans for cruises right through to 2016 there’s lots happening on the genealogy cruise front. And as a genealogy cruiser myself, I can say that while it may not exactly be a relaxing holiday (that’s your choice though), it is still a great way to get away, learn HEAPS of genealogy, see wonderful destinations, and of course meet so many fabulous genealogy-minded people. Genealogy Ebooks (or Gen Ebooks as it’s known) is the newest of our sister-companies, and is the ebooks division of Gould Genealogy & History. This is a continually growing site. Currently it offers all the Unlock the Past guidebooks as ebook editions, as well as many Archive Digital Books Australasia data CDs as digital downloads, with many more still to come). Ebooks from other publishers will also be added soon to make this a one stop source of genealogy related ebooks. Thank you so much for sharing your history! One thing that I am still curious about is your name “Gould”. Is that a family name? Why “Gould”?